I recently heard what is possibly the worst piece of car buying advice I’ve ever heard: my father-in-law, who is in the market for a car, was told that rather than get a car loan, he should take a home equity loan instead. Here’s why that is a horrible idea. For those of you not familiar with a home equity loan, sometimes called a second mortgage, it basically works like this: if the market value of your home is greater than the balance owed on your mortgage, you have equity. The bank will use the equity to loan you money for a specific amount of time, usually at a fixed rate. Let’s say, for example, you have a home mortgage of $150,000 but your home is worth $225,000. You could take a home equity loan of $75,000. But just because you could, doesn’t mean you should, and in this case my wife’s father was told to take such a loan to pay for a car. The philosophy behind using a home equity loan often is rooted in the myth that you are getting screwed by taking dealer financing. Some people view using a home equity loan to buy a car as some kind of financial life-hack because it gives you the flexibility to pay the loan in a shorter or longer term and you can use the interest as a tax deduction. This sounds good in theory, but the risks far outweigh the benefits. The most obvious downside is the interest rate. While home equity loans are typically lower than traditional mortgage rates, for folks with good credit they simply can’t compete with the auto loans. According to Bankrate.com, the average home equity loan is about five percent. 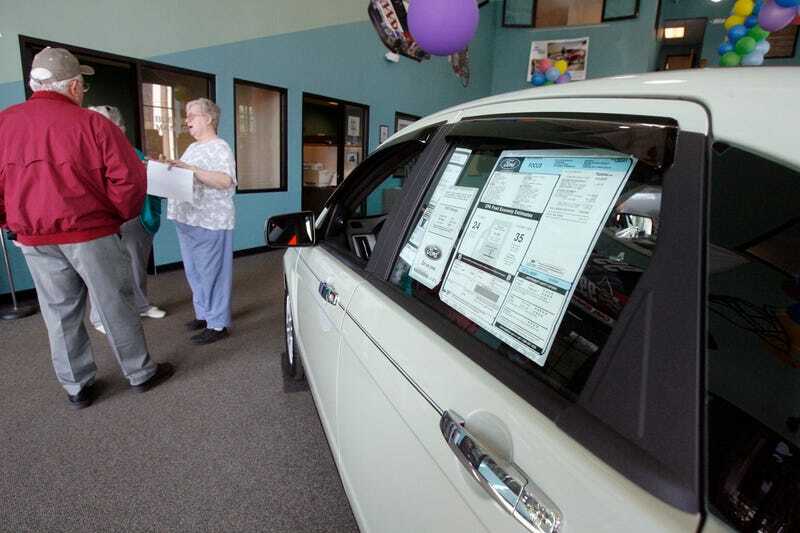 Experian’s data shows that new car loans are averaging 4.46 percent for new cars and 8.56 percent for used. But these averages don’t tell the whole story, borrowers with FICO scores above 700—aka, good credit scores—can often get new car rates as low as zero percent depending on the automaker, and used car loans as low as 1.99 percent. In reality, what tends to happen is that other expenses pile up, and you start telling yourself that you don’t have to make that $400 car payment when $200 will be sufficient. This means it will take you forever to pay off your car and you will risk being upside down on your loan. Furthermore, a home equity loan is essentially leveraging your house on a depreciating asset—the car. (Your 2016 Hyundai Sonata is not a vintage Ferrari. It is not going up in value. End of story.) So not only are you taking on debt, which is not necessarily a bad thing if managed right, you are using your home’s value as collateral against a purchase that rapidly goes down in value. Many Americans learned a hard lesson about relying on their home’s equity during the last housing crisis. If the market in your area drops and the home is now worth less, you could end up being underwater on both your home and your car. Some people use a home equity loan to pay down and consolidate debt at a lower rate. This can be a smart move if you have credit card balances with an 18 percent APR. However, when car loans are at record low rates, there is no good reason to put your home at risk for a vehicle.